What do you remember from your childhood? No doubt, playing out until all hours out on the streets, out from under your Mum’s feet? Ever wished you could relive those precious moments? 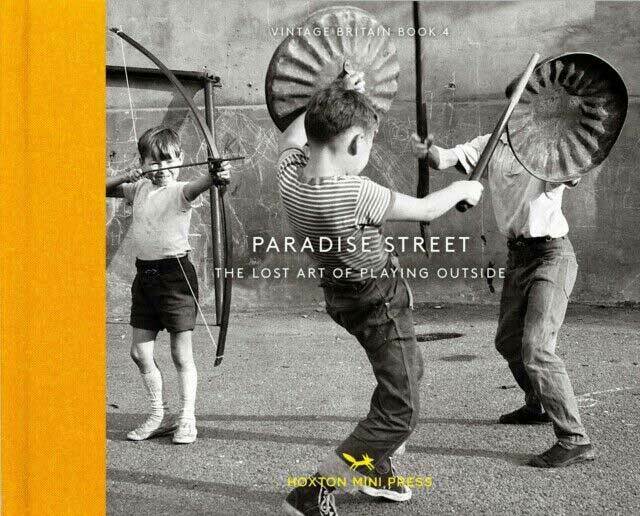 Then Hoxton Press’ new book Paradise Street is the perfect read. 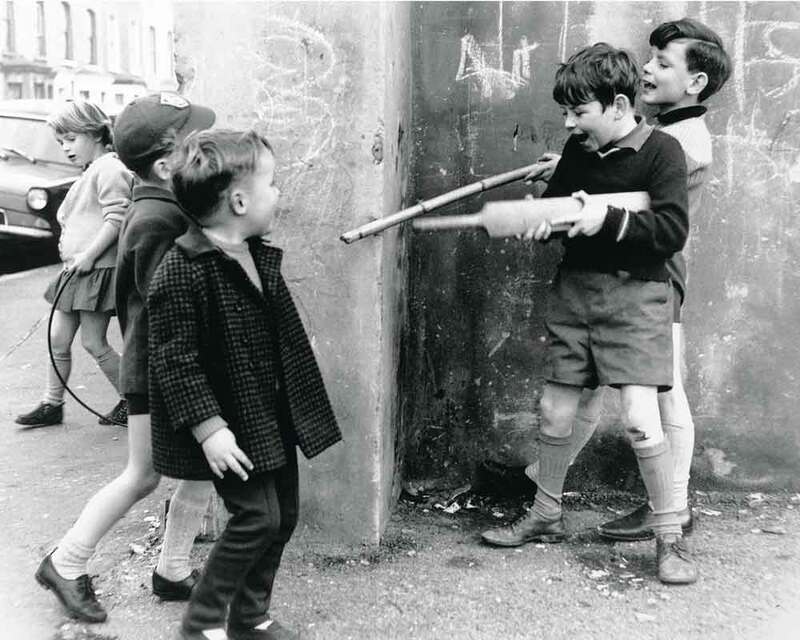 It celebrates the lost art of playing outside featuring a range of photographs that capture the essence of what it was to play out on streets. The images capture a time before games consoles, mobile phones and junk food diets that keep children these days indoors. Instead this book looks back to a time when cars were a rarity, when children had no choice but to play outside and when the only time you’d come indoors was when your mum called you in. 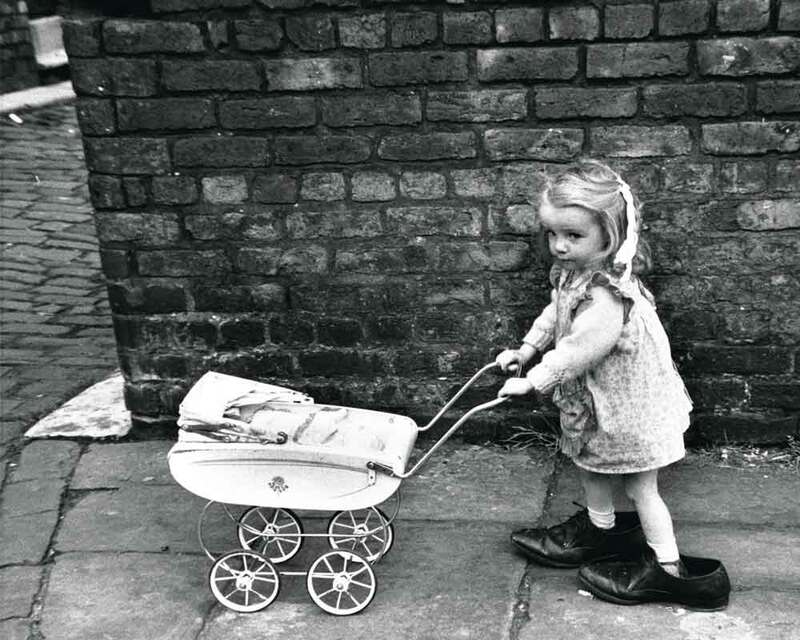 From games that have been passed down through generations through to the inventive use of everyday objects, the series of photographs in this book, from the early 1930s right through to the late 1970s, appear to show a simpler time and celebrate all that it was to grow up in 20th century Britain. pit town’s slag heap, a mountainous pile of road chippings, a vertiginous wall to clamber up, or a football pitch in an abandoned brickworks. 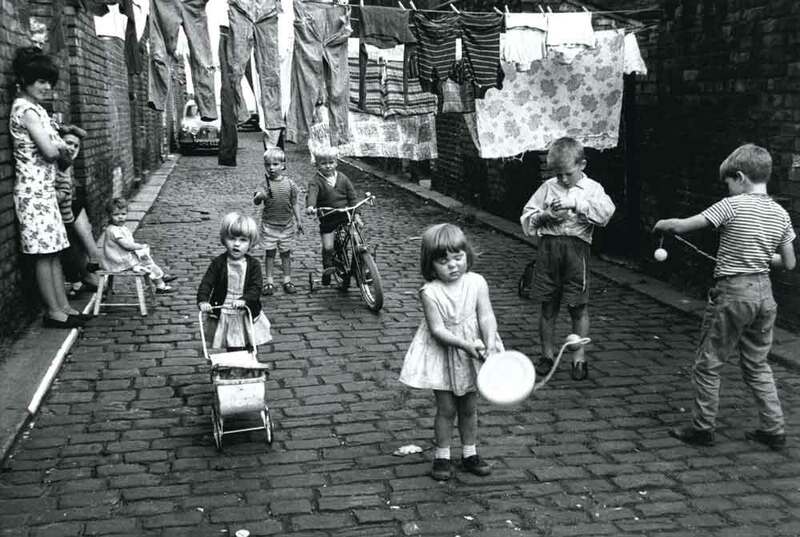 Many Happy memories of playing out in Haworth in the 50’s and early 60’s. Walking and cycling around the moors ,playing on the Goit , swimming at Long Bridge . Making dens, Kit Can, sledging and building igloos in the Winter, A lovely park with lots of things to do and playing putting and also the Brass Band to listen to in the Summer. Happy innocent Times.